The Iowa Assessment for grades K-8 begins. Punctuality will be a must due to the disruptiveness late arrivals cause to those already testing. 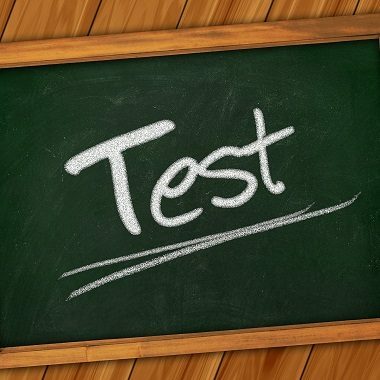 Please remember that students who arrive late will not be allowed to go to class until the test has ended and missing sections of the test will result in incomplete test scores for your child. Students should arrive at school before the morning bell rings at 8:00 AM. Results will be shared with you during parent conferences at the end of May. Thank you for your support. 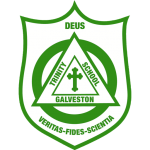 Reminder – Trinity Tribute: Celebrating 65 Years of Academic Excellence”- Friday, April 20: We are hoping to see all TES parents at this event. If you have not already purchased your ticket, it is not too late. Click the link to take advantage of the presale rate at https://tesgalv.org/. Please consider contributing to the Teacher Ticket Fund to underwrite complimentary tickets for all Trinity teachers and staff by Monday, April 16. Contact Thomala Walker at twalker@tesgalv.org, if you have questions. 2017-2018 Yearbook: They are going fast! Order your yearbook today for $45. Visit www.ballfour.com and select Trinity Episcopal Galveston to order. For campus orders, visit www.tesgalv.org and click the “Order Yearbook” button to print forms. Please send in forms along with cash or checks payable to TES with yearbook in the memo. Consider adding a personal or business Trinity Tribute. Tributes may be created online by you or submit the order form by May 1st. THANK YOU! May Fete: Our annual celebration will be held Friday, May 4, 11 AM on the Garth (22nd Street). Students in PK-4th grade will be performing dances themed “Don’t Stop Believin’-Song of the 80s”. The honored 5th grade class will be performing the traditional May Pole dance. School dismisses at Noon from the classrooms. There will be no Extended Day or Stay & Play. Campus will be closed at 12:30 PM. Art Showcase: The TES Spring Arts Showcase is scheduled for Monday, May 21, 5:30-6:30 PM in the MAC. Please drop by to help celebrate the various artistic talents of K-8 Trinity students. The showcase will include displays of studio art created under the direction of TES art teacher Florence Noyes, and musical performances under the direction of TES music teacher, Laura Hyatt. We do request your cooperation in helping us maintain an environment respectful of the students’ hard work and accomplishments. 2018 Vacation Bible School! Monday through Friday, 9:00 AM to Noon, June 4th-8th. Shipwrecked: Rescued by Jesus. VBS is open to children from age 4 through rising 5thgrade. The $10 registration fee includes daily snacks, sciencey gizmos and games, water day, songs, stories, making new friends and learning the Word of God! Registration now in the church Office! VBS VOLUNTEERS: It takes over 50 volunteers to put on our VBS, so junior and senior high students and adults are encouraged to help out. (Rising 6th graders and up) Get your service hours for next year done! Youth volunteers must also register, but not pay a fee.